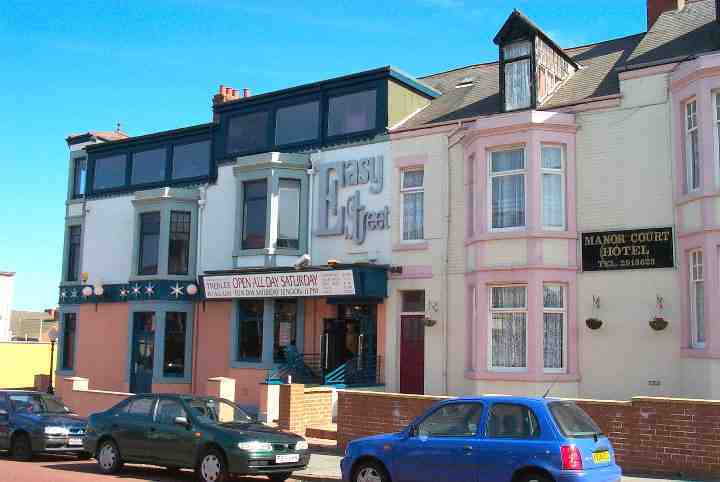 This is an album of photographs taken of Whitley Bay. 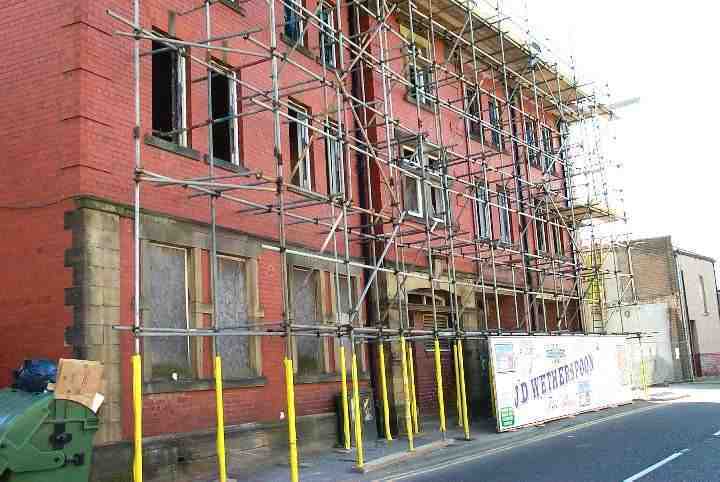 This is the building that was formerly The Burgundy Cobbler Night Club in Whitley Bay. 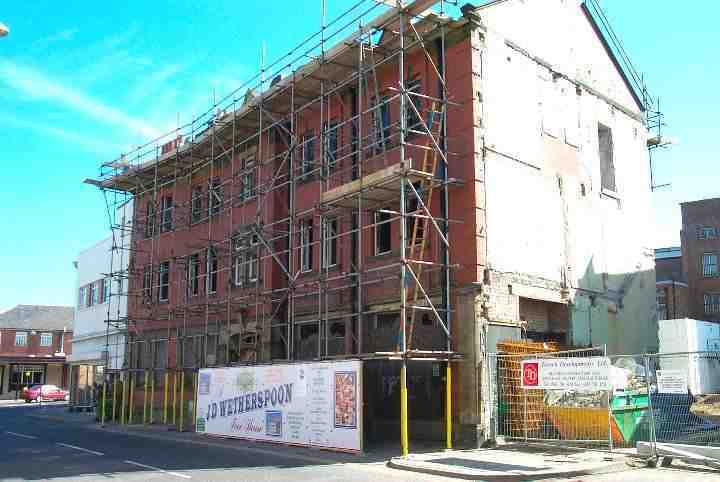 The photographs below show the conversion of the former Fire station in Whitley Bay into a Wetherspoon's pub. 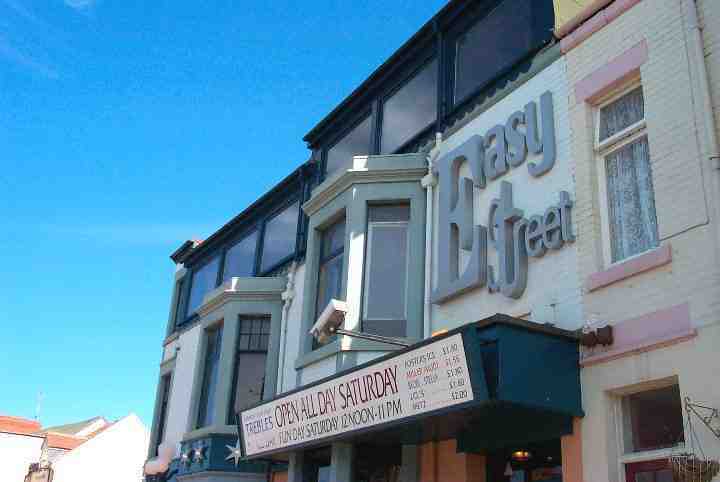 The adverising hoarding says it all "Opening in August 2001"
The former Bergundy Cobbler Night Club is now a bar called Easy Street. 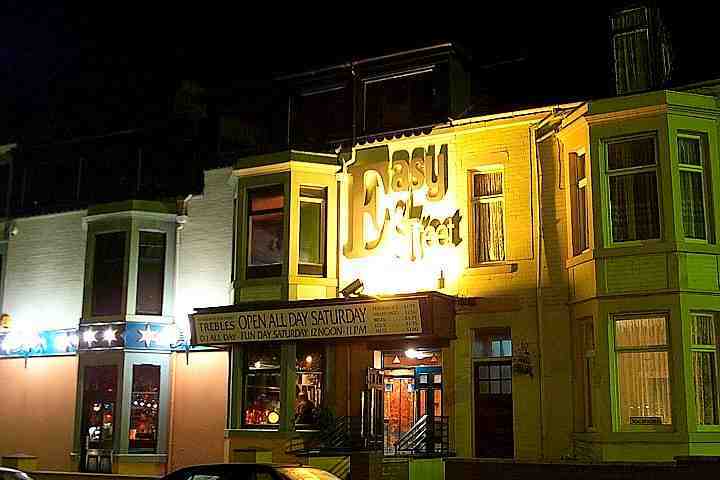 This is a night time photograph of Easy Street. 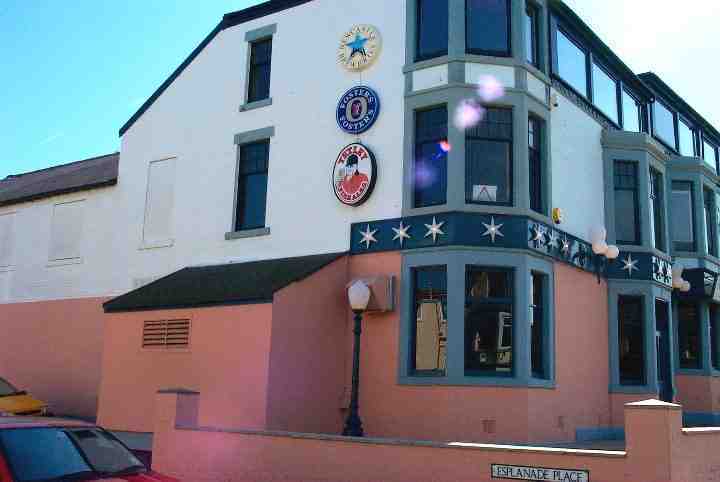 The current pub uses only one of the three floors that the Burgundy Cobbler had. 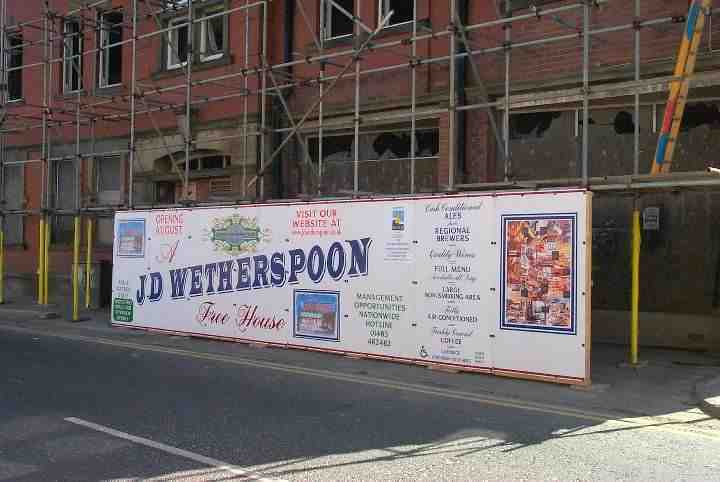 The new Wetherspoon's pub is due to open in August 2001 although it was due to be opened during June 2001.